When I open my jewelry drawer look at what pieces of jewelry I love the most, I find they are the quality pieces that are unique, not necessarily the pieces I paid the most for. These are the pieces I wear year after year after year. 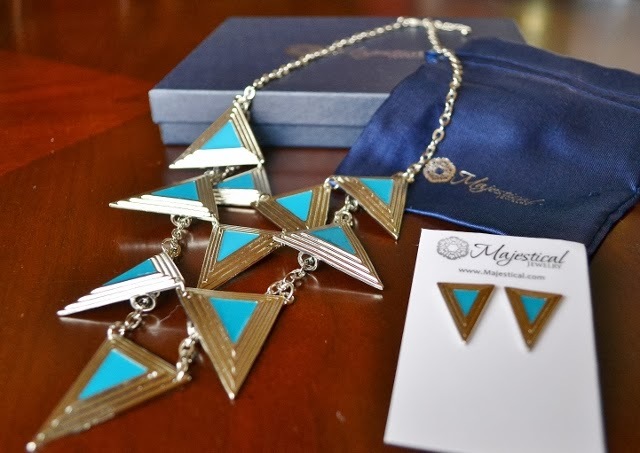 Majestic Jewelry is an online boutique jewelry store (how I love shopping online) that sells premium jewelry at a fraction of the retail store pricing. In fact, they sell 20%-90% off store prices. How do they do it? I am guessing since they don't have the overhead of a physical store, they can sell at much lower prices. I reviewed the blue triangle necklace. This is a nice necklace! The design is nice in that it doesn't easily tangle. I love the little blue triangle earrings that go with it. I can hardly believe that it only sells for $26 for both pieces! It is a beautiful design with the popular geometrical shapes that is right in style. I like how simply adding this to a t-shirt takes something ordinary and makes it extraordinary! It would also be pretty on a simple dress--bringing it to life. The quality is nice--good strong clasp. The earrings fit comfortably with the larger backs to hold securely in place without drooping. I also love the fact that the earrings are small, letting attention be drawn to the necklace, but still coordinating. Looking around at the site, I found beautiful designs not only in fashion jewelry, but also in premium jewelry. They manufacture, design and purchase fine jewels, gemstones, pearls and precious metals in bulk, then pass the savings on to their customers. And for those of you who like Pandora bracelets, they offer comparable bracelets and charms at a fraction of the price! 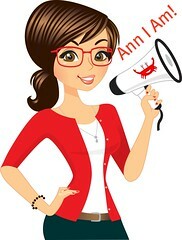 Accept major credit cards as well as PayPal. Like I said, they have great prices, but right now, my readers can also get $15 off any orders of $55 or more by entering the code 15DOLLARSOFF at checkout. I received one or more of the products mentioned above for free using Tomoson.com. Regardless, I only recommend products or services I use personally and believe will be good for my readers. This is a sponsored post. Love your review! 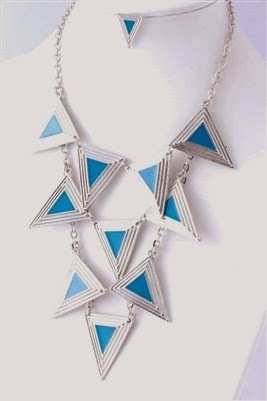 I also am getting a necklace from them through Tomoson.com and I cannot wait to see what they send me. I have seen some gorgeous jewelry on their site and love most of it!